The High Court of Delhi has held that non-appearance in investigation proceedings under Foreign Exchange Management Act, 1999 is not a valid ground to suspend passport under Section 10(3)(c) of the Passports Act. Section 10(3)(c) provides for suspension of passport "in the interests of the sovereignty and integrity of India, the security of India, friendly relations of India with any foreign country, or in the interests of the general public;"
The petitioner, who is an NRI, who has been permanently residing in UAE since 1993 assailed the order of the Consulate General of India whereby his passport was suspended. The allegations leveled against the petitioner were of money laundering and transfer of sale proceeds of the assets in India to foreign countries. The petitioner's passport was suspended on the sole ground that the petitioner has failed to appear in person before the concerned officers investigating the alleged violation of the provisions of Foreign Exchange Management Act, 1999. The suspension was "in the interests of general public" as per Section 10(3)(c), claimed the authorities. Challenging this, the petitioner approached the High Court. The single bench of Justice Vibhu Bakhru of High Court of Delhi followed the decision of division bench of High Court of Delhi in Lalit Kumar Modi v Union of India, which had held that non-appearance in FEMA investigation is no ground to suspend passport under Section 10(3)(c). It was observed that unlike FERA, there was no provision for arrest or criminal prosecution in FEMA and further, the power to examine persons conferred on the officers of the Directorate of Enforcement under Section 39 of FERA also did not find place in FEMA. The present case pertains to infraction of provisions of Section 13 of FEMA, which would result in the concerned officer making a complaint to the adjudicating authority under Section 16 of the FEMA and on such complaint being made, the adjudicating authority would hold such enquiry under sub-section (1) of Section 16 of FEMA, remarked the court. The court further opined that the person accused has the option to either appear in person or by taking the assistance of a legal practitioner or a chartered accountant of his choice for presenting his case before the adjudicating authority by virtue of sub-section (4) of Section 16 of FEMA. The provisions of FEMA do not entail custodial interrogation and, therefore, an alternative mode of examination under video conferencing was an option available, reiterated the bench. The court while setting aside the impugned order and allowing the petition observed that criminal prosecution as contemplated under Section 13(1C) of FEMA can be commenced by filing a criminal complaint and if such a complaint is filed and summons are issued by a competent court, the passport facilities provided to the accused could be withdrawn by virtue of Section 10(3)(h) of the Passports Act. 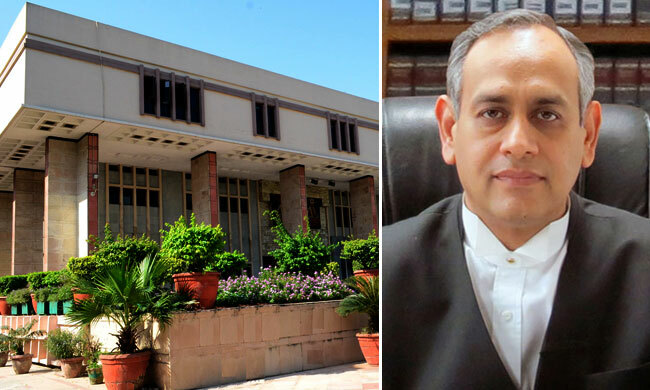 "This Court is of the view that the controversy involved in the present petition is covered by the decision of the Division Bench in Lalit Kumar Modi(supra) and the petitioner‟s passport could not be suspended in public interest", said Justice Bhakru.